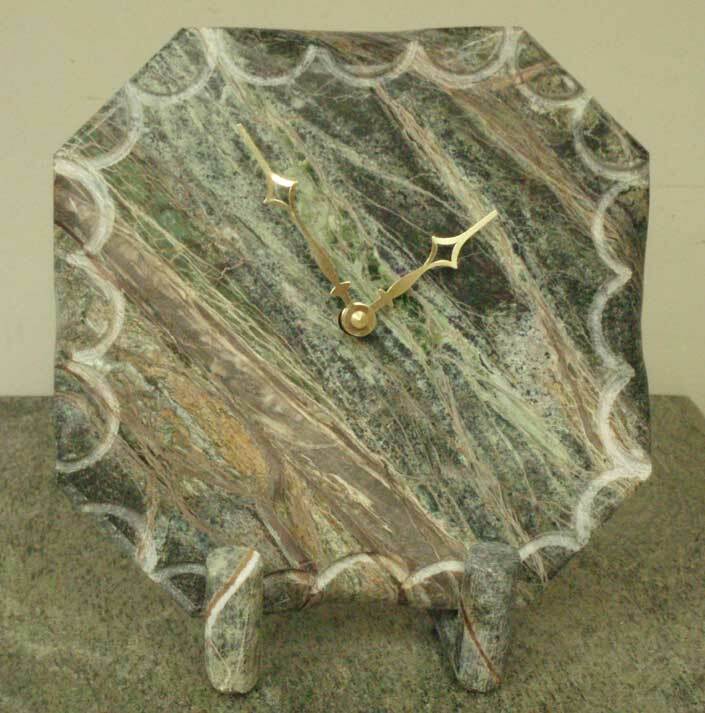 The natural patterns which adorn Oak Wood Green Marble make this material one of the most beautiful and intricate works of natural art in the entire world. This meticulouse beauty is matched with a hand carved design which frames the surface of the stone. 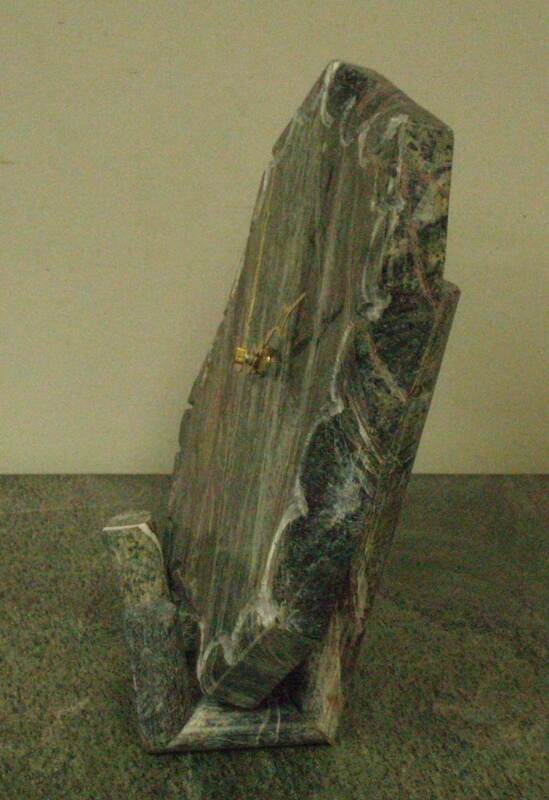 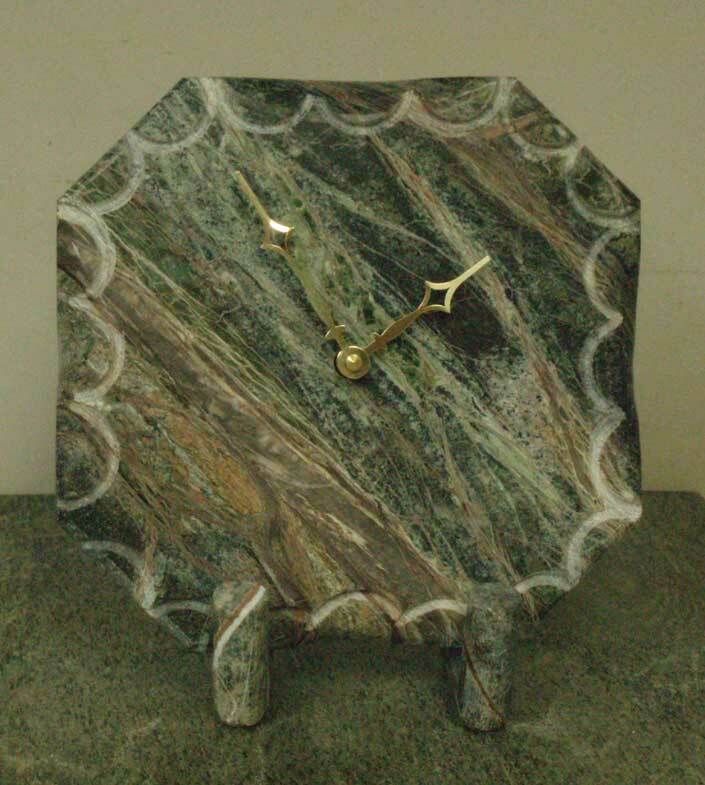 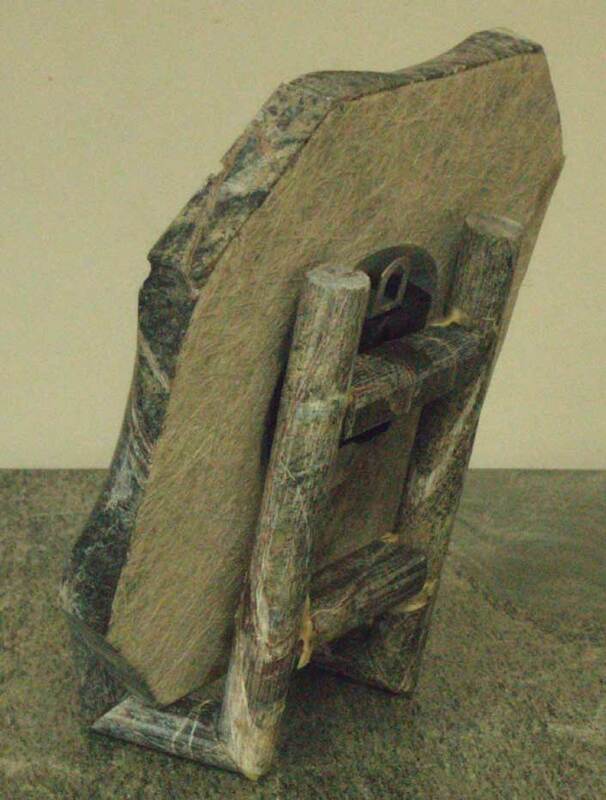 Supporting the piece is an exquisite marble display stand, which is hand crafted from the same material as the clock.